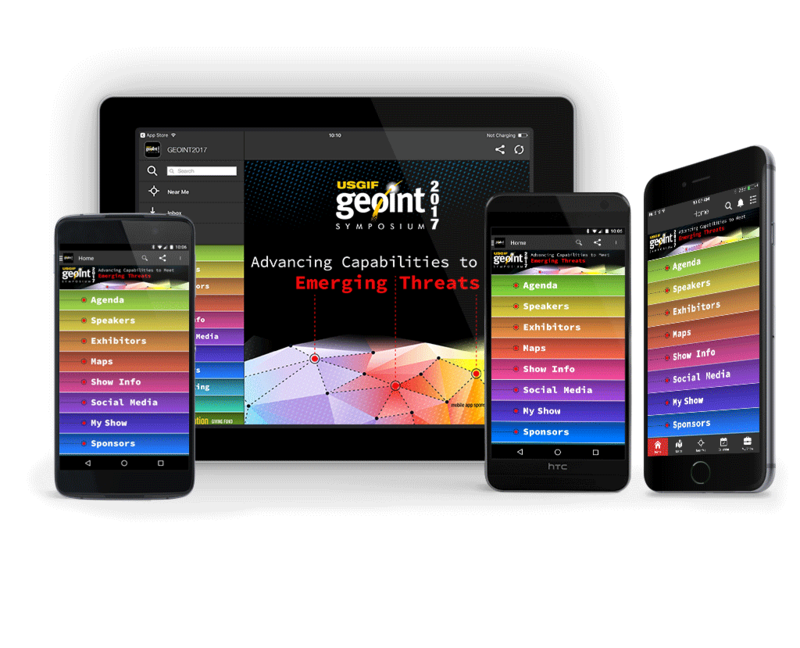 GEOINT 2017 is Now Available! The annual GEOINT Symposium, hosted by USGIF, is the nation's largest gathering of industry, academia, and government to include the Defense, Intelligence, and Homeland Security Communities as well as commerial, federal/civil, state, and local geospatial intelligence stakeholders. The GEOINT Symposium provides leading industry speakers, insightful panel discussions, training and education sessions, and an exhibit hall featuring technologies and solutions from 200+ exhibiting organizations. 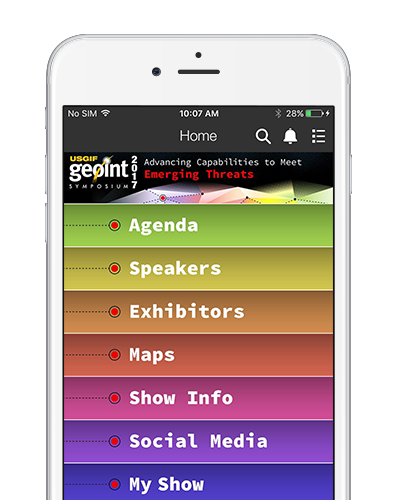 Get the most out of the GEOINT Symposium using this app and have on-the-spot updated times and locations always. The app provides full access to the list of exhibitors, daily activities, an interactive map of the venue to get you where you want to go, create your own schedule, link your social media, and more!